Sole advisor to ProA Capital in the acquisition of a stake in Mecanizaciones Aeronáuticas, SA (MASA). The entry of ProA Capital into the shareholding will help the company to face the next level of its strategic plan, supporting its growth and consolidation in the market with a special focus on innovation. 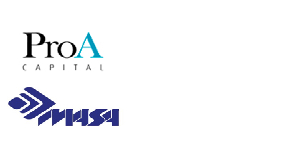 MASA is a vertically integrated TIER 1 supplier of large metallic parts and components in the Aerospace & Defense industry focused on large pieces (mainly steel, aluminum and titanium). The company has an in-depth expertise in precision metal parts and a highly qualified team with more than 40 years of experience in the industry.